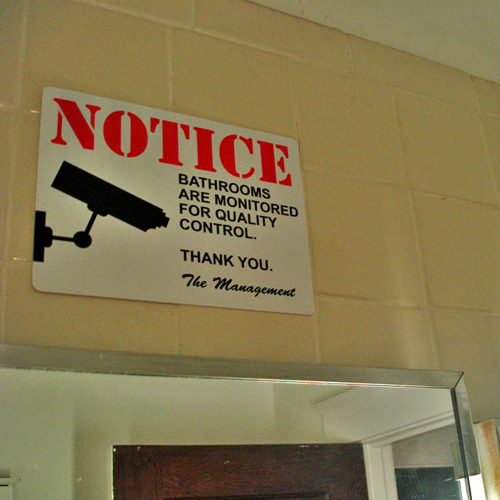 Prank Sign - Bathroom are Monitored w/ Camera! CA34099. Prank Sign - Bathroom are Monitored w/ Camera! Bathrooms are monitored for quality control! Hang this sign (discreetly so you don't get caught!) in a office bathroom, restaurant, bar, or hell even in your own bathroom! 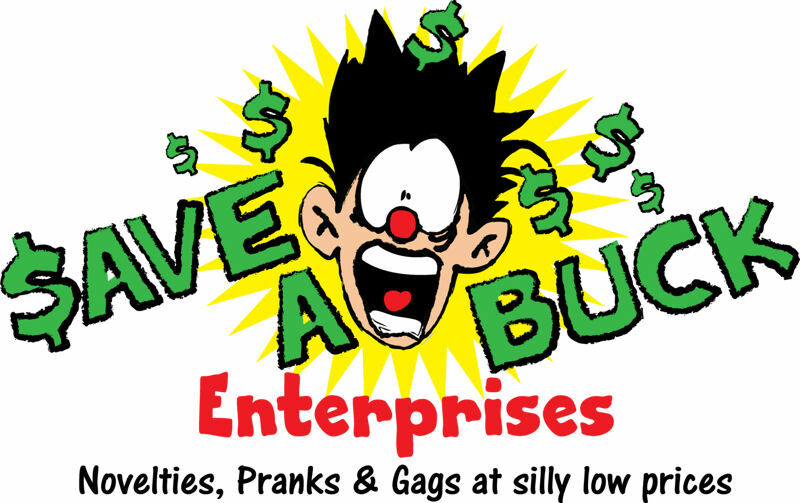 You will scare the crap out of people when they are in the bathroom doing there dirty business smiley Plastic sign affixes to smooth surfaces by peeling the protective strips off the back ( This will not cause permanent damage to the walls ) Sign measures 8" x 6" inches. These are quality signs professionally printed on real plastic sign material. Use this over and over again. The laughs you get are priceless!